MDynamics can do it all. It can be a compressor, expander, gate, or any combination of those, and you can even draw your own processing shape for more creative effects. Add in integrated parallel compression, adjustable channel linking, up to 8 channel surround processing and MDynamics becomes the ultimate tool for single-band dynamics. 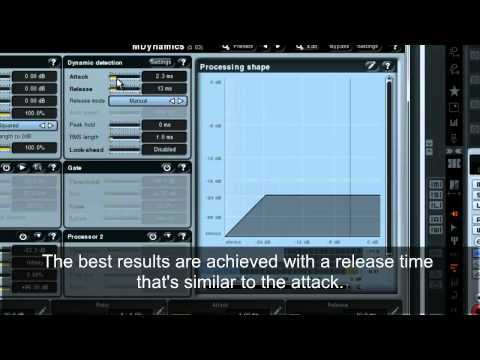 MDynamics can adapt to any audio material thanks to its extremely versatile envelope follower featuring automatic release modes, peak hold, RMS length, look-ahead, psycho-acoustic pre-filtering, custom attack and release shapes, spectral smoothing plus much more. MDynamics can not only follow the input level, it can also filter it or even use any other signal from the side-chain. For filtering you can have a simple band-pass or even a fully-featured 6-band equalizer.